Why Are Modern Homes Burning 8 Times Faster Than They Used To? When firefighters suspected synthetic furniture was to blame for house fires burning eight times faster than they used to, they teamed up with the safety consulting company UL to conduct a study. Below is a link where you will learn how synthetic furniture materials (which are made from petroleum, like gasoline) can accelerate the rate of a house fire. One officer says that the chemicals produced by synthetic material burning can take the place of the oxygen in your body within 2-3 minutes of exposure. 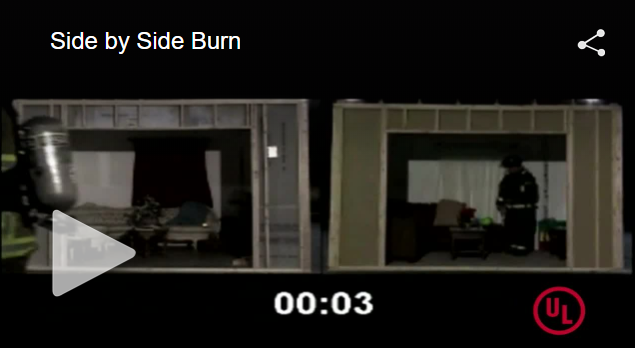 Watch the video of the study they conducted that compares burn times between synthetic and natural furniture!